The original cast and creatives unite with Stephen Sondheim, for one special event. 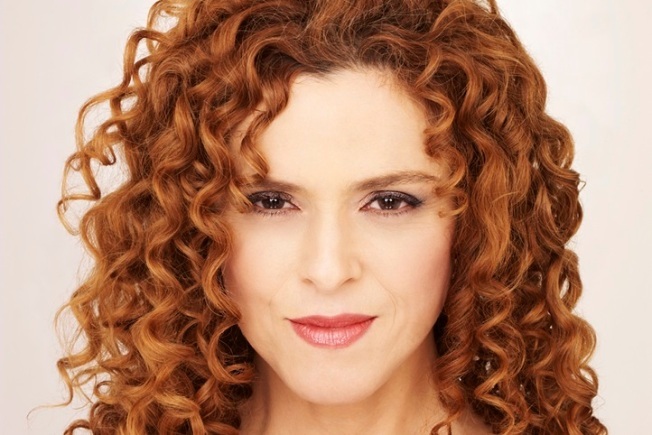 Broadway star Bernadette Peters will appear alongside her "Into the Woods" cast members for a special Segerstrom Center for the Arts reunion. It happens on Sunday, Nov. 9. THAT "SEMINAL" MUSICAL: It's a word that gets used and used and used again when it comes to big, form-changing Broadway shows, but "Into the Woods" is full-on, no-doubts-raised, let's-embrace-it seminal. The '80s stage hit from Stephen Sondheim and James Lapine did much to revive fairy tales as stories worth plumbing, re-interpreting, considering, changing up, and satirizing. Before then, our tales of yore had almost remained entirely untweaked and not meddled with on a large scale, for few people wanted to undue those tales beloved by all. But their undoing courtesy of "Into the Woods," or rather redoing, breathed proverbial new life into a centuries-old form, meant that many creative people jumped into the fairy tale fray, eager to rethink and retell the moral-standard yarns in fresh and funny ways. That Bernadette Peters played The Witch, and Joanna Gleason The Baker's Wife, only added to its stellar reputation, and "Into the Woods" became, yes, that seminal musical. Now Ms. Peters, Ms. Gleason, Mr. Sondheim, and Mr. Lapine will join other friends involved in the original 1987 Broadway production for a one-day-only, oh-so-lively look-back at the Segerstrom Center for the Arts. ON THE DELIGHTFUL DOCKET: The Sunday, Nov. 9 event, which just added a matinee in addition to an evening show, won't be a full reprisal of the stage show. Rather, expect it to be "(p)art conversation, part musical selections" and brimming with reunion-style charms. Will your favorite song be referenced? Will a backstage memory be shared? And how many later fairytale-esque properties can you name that owe "Into the Woods" some respectful due? Probably at least a dozen, which makes this catch-it-now reunion something mighty seminal, indeed. The fact that there's a mega-buzzy "Into the Woods" film on the immediate horizon is an exclamation point on an exclamation point-filled event. Tickets are $59 each.